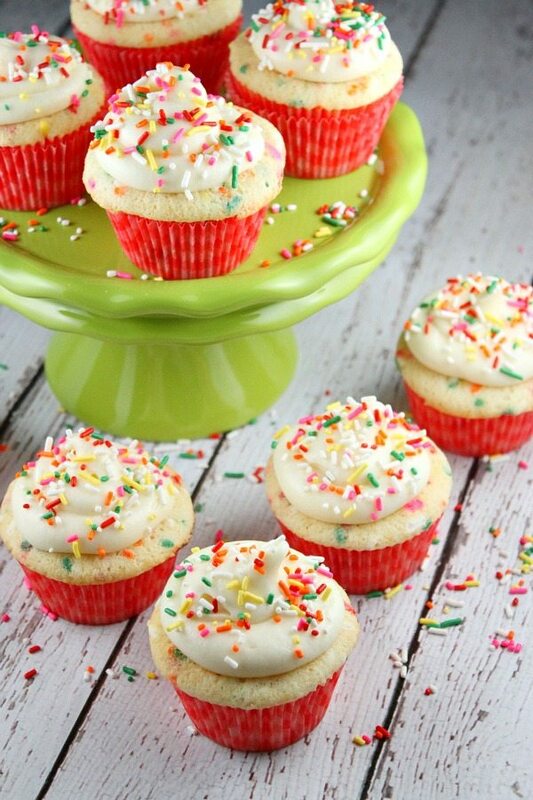 Let’s celebrate rainbow sprinkles with these: Confetti Cupcakes! Here’s a question for you: Are they sprinkles, or are they jimmies? I’ve experienced sprinkles in California and jimmies in Massachusetts. But I’m not really sure what the rest of the country thinks! Let me know what your little part of the world calls these sprinkly candies, okay? 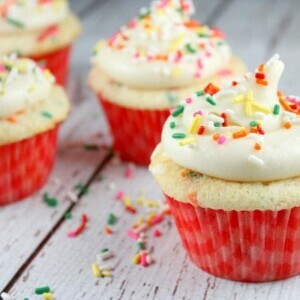 So these are some seriously delicious vanilla cupcakes with sprinkles mixed into the batter- otherwise known as “Funfetti.” More sprinkles are generously sprinkled on top of a vanilla-cream cheese frosting. They are the best cupcakes ever! I can say that because I’m totally not a chocolate girl. Anything vanilla-like is way okay in my book. 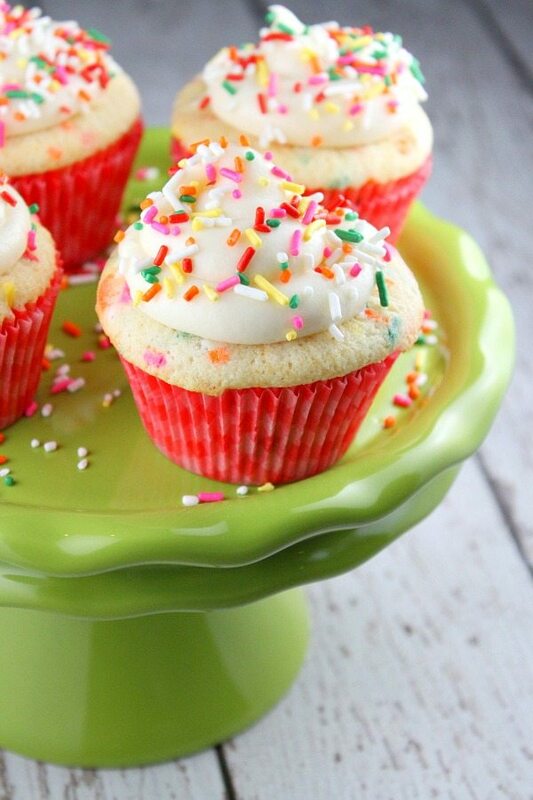 And these are major vanilla cupcakes. And because I love rainbow SPRINKLES so much… meaning I put them on frozen yogurt and ice cream and literally anything that is deemed okay to put them on… that makes these some really rockstar cupcakes in my book. I love a recipe that makes TWELVE cupcakes too, since my family is not gigantic. Twelve is manageable enough so we don’t go too dessert-crazy all at once. 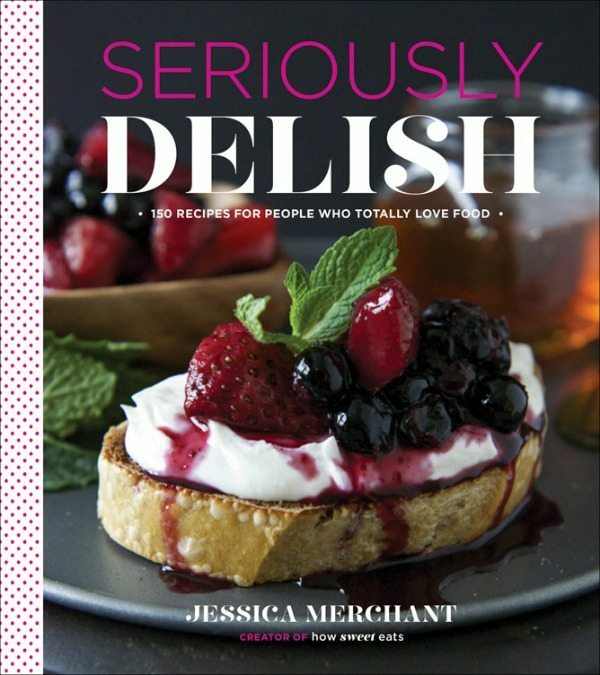 This recipe comes from the just-published cookbook by first time author, blogger (and super sweet friend of mine) Jessica Merchant: Seriously Delish: 150 Recipes for People Who Totally Love Food. I seriously, seriously, seriously LOVE this book so much. If you’ve ever visited Jessica’s blog -> How Sweet It Is, then you know that her personality is just really crazy and fun. That makes her blog fun to read– it always puts a smile on your face. Jessica’s cookbook is written in the same way- her writing is funny, heartwarming, sarcastic, honest and quirky. She makes you feel like you’re her best girlfriend, and if you ever have the chance to meet her… she is exactly the same way in person. You’ll adore her. She’s got quite an extensive BOOK TOUR coming up, so you can check to see if she’ll be coming to a city near you. This book is full of some awesome recipes that I wish I’d thought of myself. Here are a few I can’t wait to try: Brown Sugar- Bacon Biscuits, Roasted Blueberry- Basil Brie, Slow-Roasted Chicken Tacos with Gorgonzola Slaw, Vanilla-Ginger Mojitos, Cheesy Roasted Cauliflower Dip, Lemon-Herb Chicken Romano and Coffee & Doughnuts Ice Cream. If you love food… and I mean really love food… and cookbooks… and if you like to read cookbooks like novels… you’ll love this book. I definitely 100% recommend it! Since Jessica is a totally energetic, fun and cheerful person, this was the perfect recipe to choose to make from her cookbook: bright, fun, colorful, sprinkly cupcakes! Oh, and these cupcakes… I mentioned before that they were the best cupcakes ever. They sort of break apart gently as you’re taking a bite, and I must admit that they kind of melt in your mouth. Yeah… they’re good. 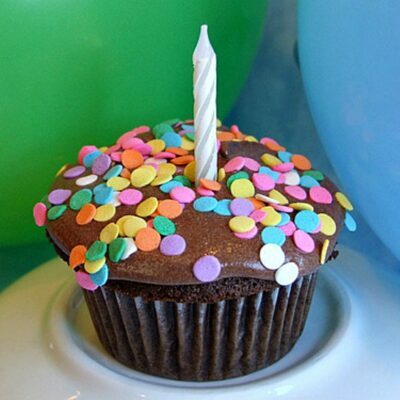 Prepare the cupcakes: Preheat the oven to 350 degrees F. Line a cupcake tin with cupcake liners. 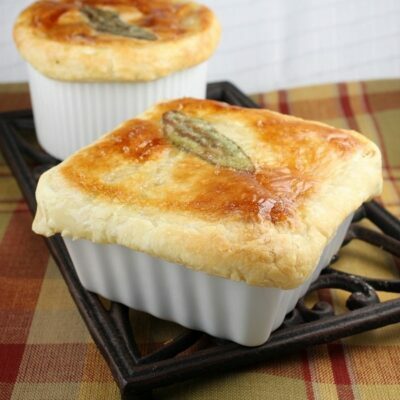 In a small bowl, whisk together the flour, baking powder and salt. In a larger bowl, use an electric mixer to combine the butter; beat until creamy. Add the sugar and mix on high speed until fluffy, 1 to 2 minutes. Add the egg and egg white, mixing well on medium speed until combined. Scrape down the sides of the bowl if needed. Beat in the oil and vanilla. With the mixer on low speed, mix in half of the dry ingredients. Mix in the milk. Then mix in the rest of the dry ingredients and beat until well-combined. Use a rubber spatula to gently stir in the sprinkles. Fill the cupcake liners 2/3-full. Bake until the tops are set, 18 to 20 minutes. Let cool completely before frosting. Prepare the frosting: In a large bowl, use an electric mixer to combine the butter and cream cheese on high speed until creamy and well-combined. With the mixer on low speed, slowly add the powdered sugar. Beat until the sugar is incorporated, and then add the vanilla. Scrape down the sides of the bowl, if needed. Beat the frosting on high speed for 1 to 2 minutes, until fluffy and creamy. If the frosting seems too thick, beat up to a tablespoon of milk until well-combined. 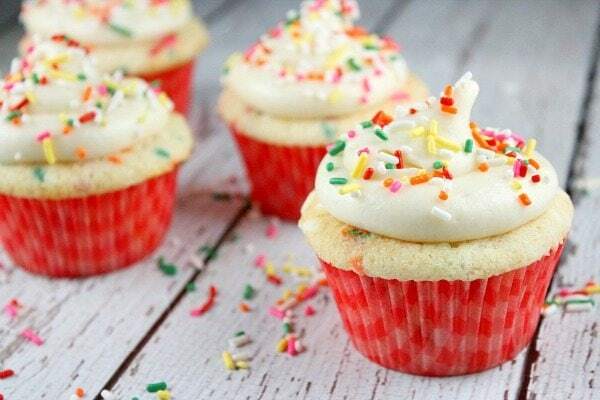 Frost the cupcakes and top them with the sprinkles. Because there is cream cheese in the frosting, I keep these in a covered tub and store them in the refrigerator until they are ready for munching. 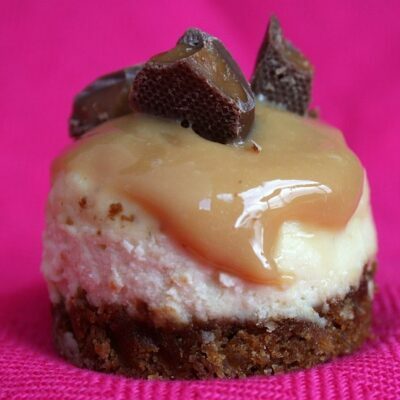 Oh these cupcakes do look Seriously Delish!! And in my neck of the woods we call them jimmies!!! 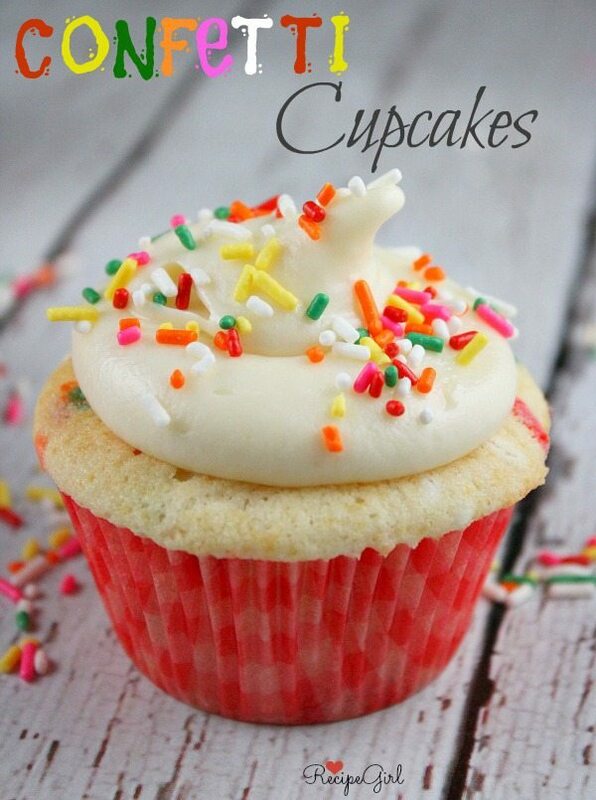 I’ve always called them sprinkles ~ great looking book & cupcakes!